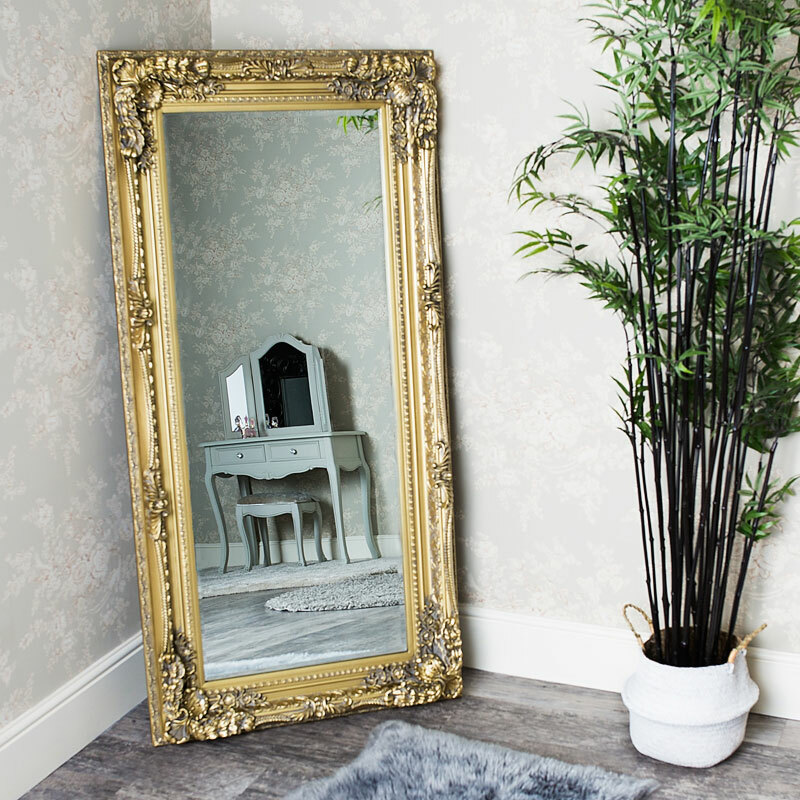 This stunningly ornate gold mirror which can either be wall mounted or simply lean against the wall is the perfect piece to create a statement in your living room or hallway. A mirror to make a statement and decadence to your home that would complement any interior from modern to contemporary or even a shabby chic style decor. 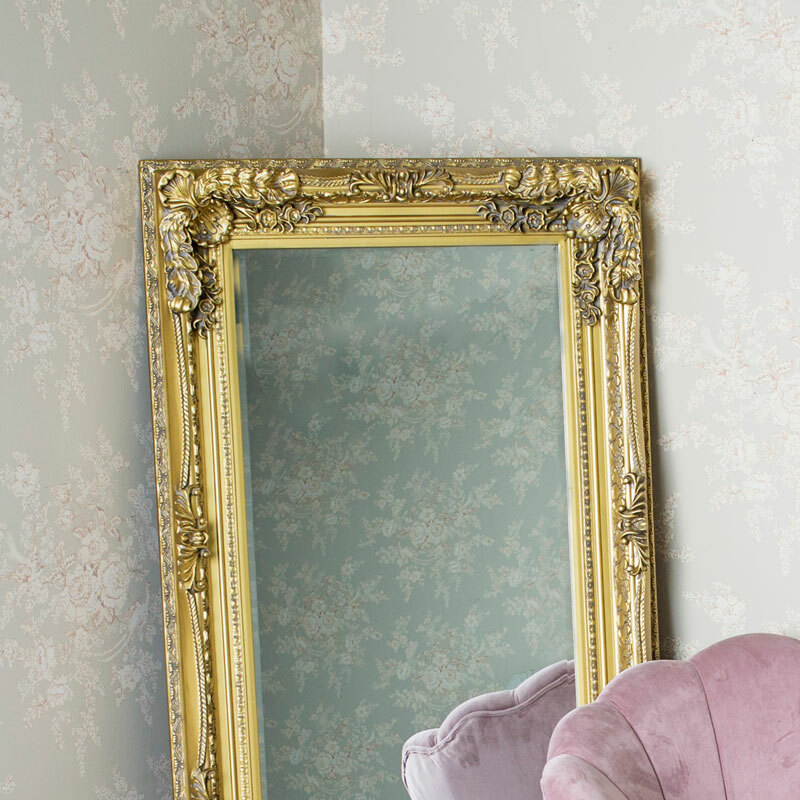 It's bevelled glass, beaded trim and beautifully detailed ornate carvings would allow this mirror to transform your bedroom into a beautiful french boudoir. Made with a wooden back and overlayed with an ornate resin frame in an antiqued gold finish. The mirror is wall mounted with D-ring hooks on the back for hanging in landscape and portrait orientation.